Anna university Internal Assessment marks 2014: From academic year 2013 - 2014, the students can check the Anna university internal marks 2014. This enables them to know about their internal marks. Staffs usually say that they will reduce internal marks if they are not disciplined in class or someother issue. The internal marks scored in the internal exams (also called as Unit test, Continuous internal assessment CIA in some colleges) and attendance should be entered periodically in the anna university portal coe1.annauniv.edu. There are total of 4 periods. In 1st period only attendance will be entered. In 2nd period, the attendance and 1st internal exam marks will be entered. In 3rd period, anna university attendance and 2nd internal marks will be entered. In 4th, model exam marks will be entered. For Lab, only attendance will be entered periodically and model lab marks will be entered at last. How to check Anna university Internal Marks 2014 ? Click the internal marks tab and get your internal marks. 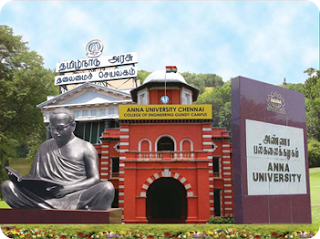 How to calculate Anna university internal marks ? Anna university displays only the marks out of 100 seperately. It does not consolidate and display out of 100 or out of 20. You can calculate the final internal marks. Anna university attendance will account for 5 marks out of 20. All the internal assessment marks of Internal Exam 1, Internal Exam 2, Model exam. You will be getting marks out of 300. Divide it by 15. You will get the Anna university Internal assessment marks 2014 out of 15. Now add this mark with the Anna university attendance marks. You will get out of 20. You will write your External exam i.e the Semester exam out of 100. Minimum Internal marks to pass = No minimum marks. If your internal is low, you have to score more in the external exam. If your Internal marks is 14 and you get 45 marks in the exam you wrote, your final mark will be 50 and you will be pass.